Set of 3 easy-squeeze 2 oz. 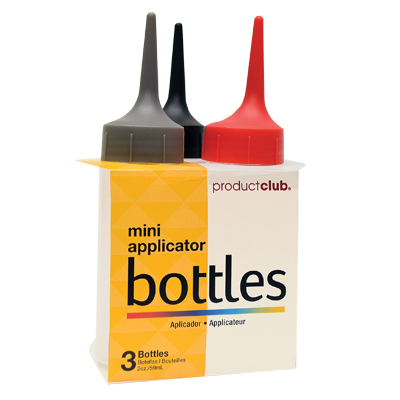 mini applicator bottles embossed with ounce and milliliter measurements. 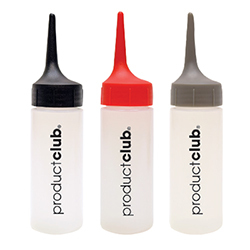 Features extra-long, straight tip caps in 3 colors (black, red, and silver) for easy formula identification.